Wanna make Roach a unicorn? Wanna make Roach a unicorn? Now you can. 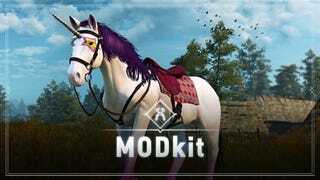 CDProjektRed has announced that an official modkit—in partnership with Nexus Mods—is available starting today for the PC version of The Witcher 3.